Recently, I was helping a friend of mine out with her son’s speech. Her son is E’s age (almost three) and she was asking me if some of the speech patterns he uses are normal or not. 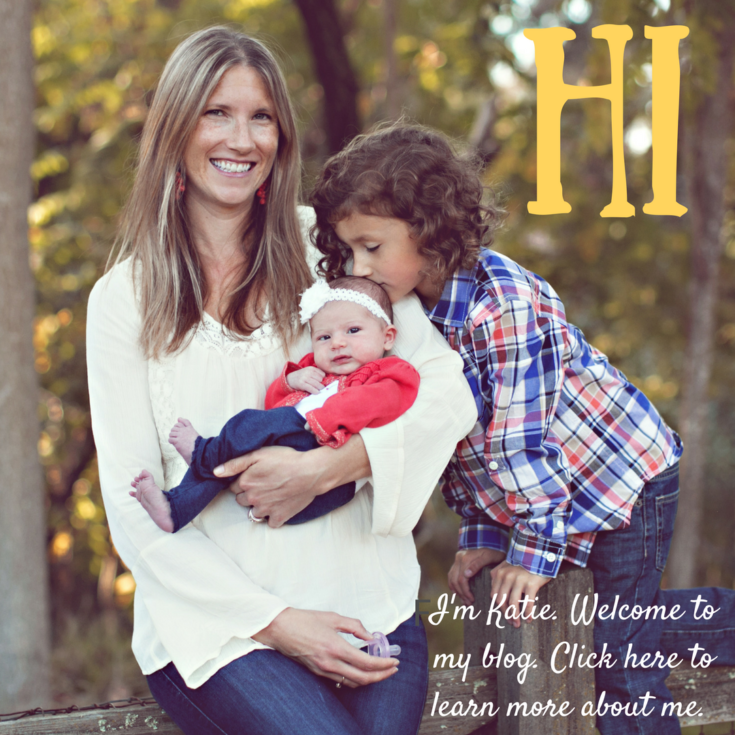 As we were emailing back and forth, she wrote something about her son not being able to say the “blends” sh, ch, and th. It reminded me that I had another friend of mine tell me this same thing in regards to her daughter. The thing is, that sh, ch, and th are not blends. And another friend told me that her daughter couldn’t say the “x” sound, like in box. But guess what, the “x” sound IS A BLEND! Confused yet? See, the speech sounds we say don’t necessarily correlate with the letters of the alphabet (which are called graphemes). Sometimes they do, but not always. So….let me explain. 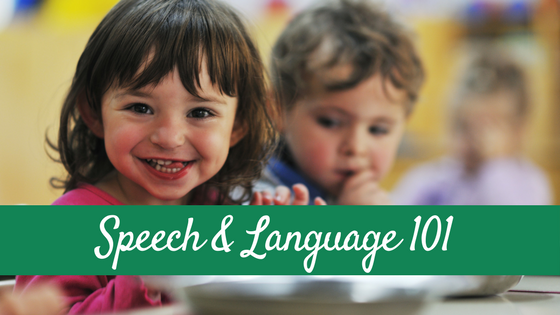 How many speech sounds are there in English? There are 24 different individual consonant speech sounds in the English language and another 20 vowel speech sounds (remember, there are 26 letters of the alphabet…21 consonants and 5 vowels). We call these sounds phonemes. 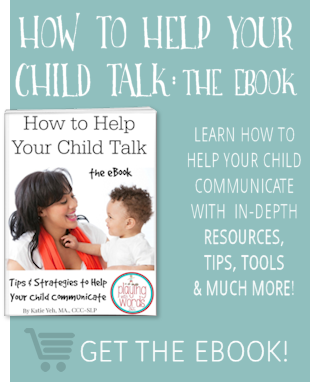 Each phoneme, or speech sound, has a symbolic representation. All these symbols make up the International Phonetic Alphabet or IPA. What are the speech sounds in English? Below is a chart representing the different consonant phonemes in English. 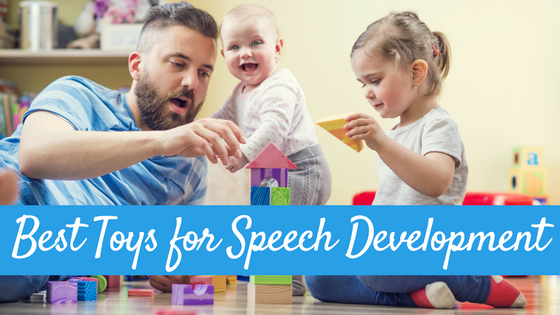 You will notice that *most* of the symbols for these speech sounds are the same at the letter of the alphabet we generally associate them with when reading and writing. For example, the phonetic symbol for the beginning sound in POT is /p/, just as the letter P represents the same sound when reading and writing. However, remember the “sh” “ch” and “th” we were talking about earlier? The sounds we associate with those letter combinations (which are referred to as digraphs, by the way, a combination of two letters that represent ONE sound or phoneme) have different symbols to represent them in the phonetic alphabet. So then what IS a blend? Now you know that “sh”, “ch”, and “th” are not actually blends (but are actually digraphs), you may be questioning what a blend is then. A blend is two or three consonant sounds next to one another within the same syllable in a word, where each individual sound is produced. Some common blends include the /l/ (plane, blue, clown), the /r/ (frog, crayon, green) and the /s/ (slide, swing, ask, star). Wait! What about the “x” sound? I mentioned earlier about my friend telling me about her daughter who couldn’t produce the “x” sound. And if you look at the chart above, you’ll notice there is no “x”. There also is no “q”. That is because the speech sounds we produce when we say words with the “x” and the “q” are actually blends. the “x” is actually a blend of the /k/ and /s/ sounds. Box is actually pronounced boks, and the “x” in exactly is pronounced as a blend of “gz” And the “q”? In most words like quiet and quick, the “q” is actually a blend of /kw/. So what is the IPA used for, anyway? Well SLPs use the IPA system to transcribe the speech of our clients/students/patients so we can refer back and know EXACTLY how they are producing certain sounds, sound patterns, and words. 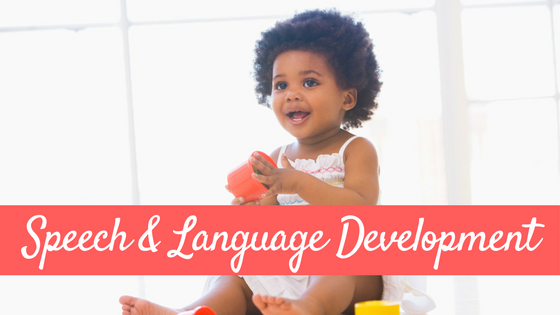 Then we can use these transcriptions to plan therapy and intervention for speech and language disorders. Other professionals use the IPA such as linguists, translators, singers and actors. 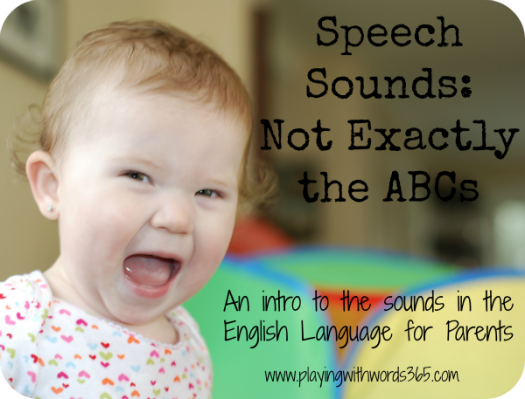 So now you see….that our speech sounds (aka phonemes) are not exactly the ABC’s! Love your work girl! 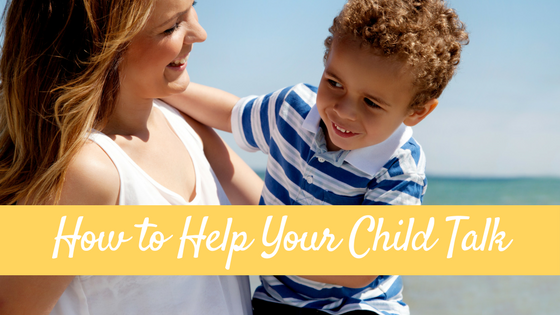 Great info to give to my kiddos parents. 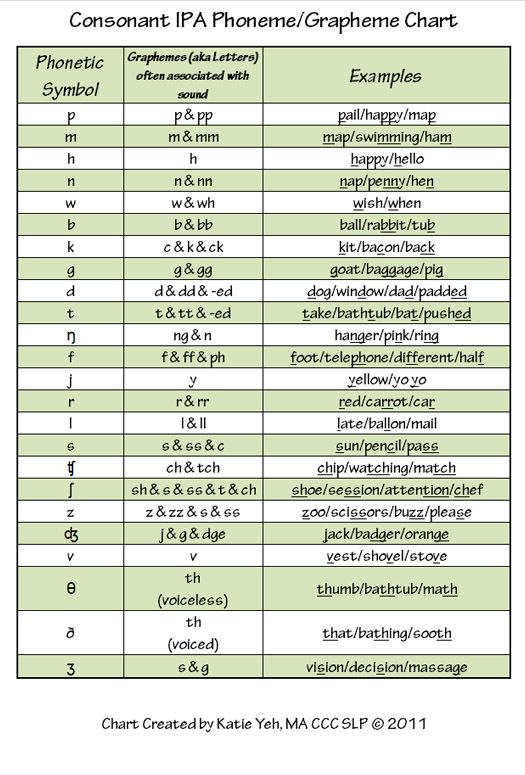 Wow…20 different vowel sounds! That’s amazing! Thanks for the great info! Pretty cool, huh? 🙂 You’re welcome Carla! Love your writer’s “voice”. Thank you for sharing.